I was always intrigued by the statement of the centurion at the foot of the cross: “Surely this man was the son of God.” Perhaps my interest was because I served in the military and felt that my life was something like that centurion’s. In any case, I always wanted to know more about this military man and his statement. When I read Wallace’s book, Ben Hur and Douglas’s The Robe, I was left with more questions than answers. I wanted to delve deeply into the centurion’s life and know exactly who he was. I began research into the centurion in the 1990s. Already, I knew his name. In Christian legend, it is Abenadar. He was said to be a man of mixed Roman blood. In early 1995, I wrote a short story about Abenadar. The main character was the woman who lived with him and the setting was their house following the crucifixion. Already I had begun to flesh out Abenadar. I made him a man of mixed lineage: Roman and Jew—otherwise Pilate would not have given the job of the crucifixion to him. He had to speak the languages of the people—again, otherwise Pilate wouldn’t have trusted him with the job. The woman who lived with him had to have been a woman of the streets—no other woman, other than a slave, would be able to associate with a Roman of mixed blood. He had to be competent. He had to be divided somewhat in his mind, but not his loyalties. The picture of Abenadar began to build. The picture of the woman he lived with began to come into focus. In the short story, I made both of them rougher than they ended up eventually, but that story was where the novel began. 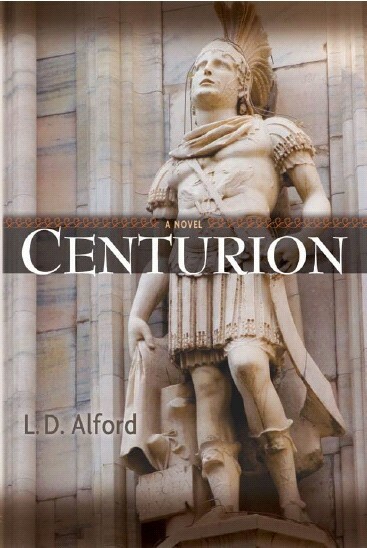 I started writing the novel, Centurion, while I was flying in Europe in 1995. The first few chapters flowed. When you write a book about the life of a man, you need to start with his beginning, and the beginning of the centurion’s life was fundamental to his character. To be a member of a Roman Legion, he had to have a Roman father. To know the languages of the people, he needed to have a Jewish mother. Since the Romans, at the time, were attached to Herod the Great’s court in Jerusalem and there was a connection with Tiberius in Galilee, it was easy to build the character of both the centurion’s mother and father. She became a local bride to the Roman ambassador. Her home town was one of the largest in Galilee, Nazareth. From that, it wasn’t difficult to construct a possible interaction between Mary, the mother of Jesus and the mother of Abenadar. The next step was the most difficult for me. I had to build the entire life of Abenadar. I chose to begin with his great step into the Legion. That was the real beginning of Abenadar as a military man. Years of research was poured lovingly into this portion of the book. It was a necessary and fulfilling step to build up the man who was to become the centurion at the foot of the cross. In the novel, the history about the Legions and about training, promotions, leadership, and structure is exact and exciting. At the same time, I laid the foundation for his loss of faith and his return to faith. He was, after all, a Jewish man in the Roman Legion. Abenadar moved up the ranks to finally reach the position from which he would be called to play his greatest role in history. He wasn’t a man divided. He wasn’t incompetent. He wasn’t weak or foolish. He was one of Pilate’s favorites and yet a man of mixed lineage. I had not given up on his wife, or rather the woman who lived with him. The why of her existence was coupled with his. It had to intertwine. She had to be Jewish too, but able to live with a Roman Centurion. She had to be a woman of the streets. I chose to make her a woman who desired nothing but a home and stability. She had not lost her innocence in spite of her forced harlotry. She became a much less rough character than I first envisioned. She became the Centurion’s link to Jesus the prophet, the man he must eventually crucify. How did Centurion finally get published? The job of finding a publisher was as difficult as the work of writing itself. Centurion was my sixth completed novel and the eighth I started. That means I had the experience of writing eight novels before I started looking for a publisher for Centurion. I started with Christian press and eventually sent it to a Christian reading service that supplied suggestions to Christian publishers. I received two offers to publish from that one input. Unfortunately, my email was toasted and I don’t have the records from back then, but Oaktara (Capstone at the time) made me a great offer and took my other novels into consideration. I never expected an inspirational press to want to publish any of my novels but Centurion. The novel was published by Oaktara in January 2008 after about a year from contract. Four of my other novels were published by Oaktara after that. L. D. Alford is a novelist whose writing explores with originality those cultures and societies we think we already know. His writing distinctively develops the connections between present events and history—he combines them with threads of reality that bring the past alive. L. D. Alford is familiar with technology and cultures—he is widely traveled and earned a B.S. in Chemistry from Pacific Lutheran University, an M.S. in Mechanical Engineering from Boston University, a Ph.D. in Aerospace Engineering from The University of Dayton, and is a graduate of Air War College, Air Command and Staff College, and the USAF Test Pilot School. 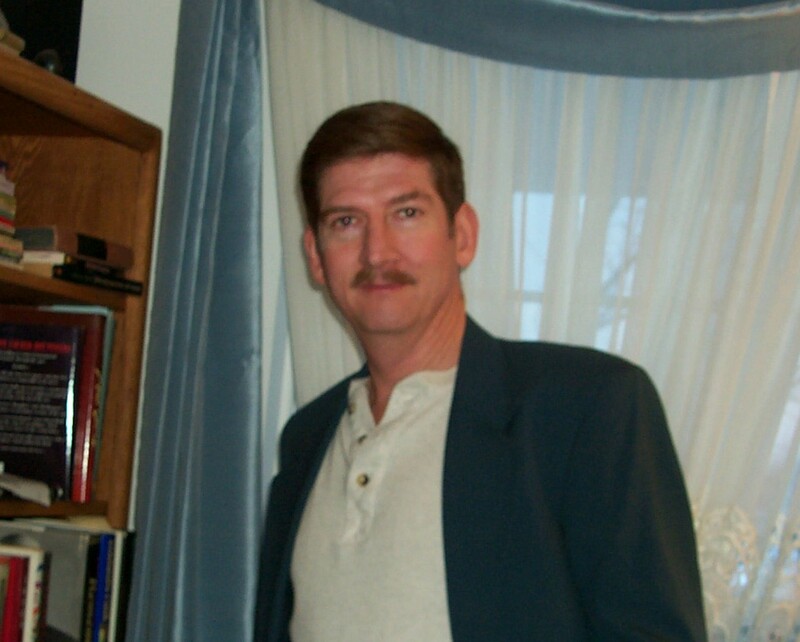 L. D. Alford is an author who combines intimate scientific and cultural knowledge into fiction worlds that breathe reality. He is the author of three historical fiction novels: Centurion, Aegypt, and The Second Mission, and three science fiction novels: The End of Honor, The Fox’s Honor, and A Season of Honor. This entry was posted on Monday, August 16, 2010 and is filed under Historical Fiction, Traditional Publishing Stories . You can leave a response and follow any responses to this entry through the Subscribe to: Post Comments (Atom) . Thanks for letting me share. I hope everyone can benefit from the information. This book sounds fascinating and well researched. I'm going to add it to my list. Thanks for introducing this author, Lynnette! I just finished Centurion and enjoyed very much. Both as a Christian and as one enjoys reading. I plan to re-read it shortly, I alway pick up something new on a re-read. My question is are you planning a follow-up novel on their life in Rome? Born and raised in Malawi, Africa. Lynnette Bonner spent the first years of her life reveling in warm equatorial sunshine and the late evening duets of cicadas and hyenas. The year she turned eight she was off to Rift Valley Academy, a boarding school in Kenya where she spent many joy-filled years, and graduated in 1990. That fall, she traded to a new duet--one of traffic and rain--when she moved to Kirkland, Washington to attend Northwest University. It was there that she met her husband and a few years later they moved to the small town of Pierce, Idaho. During the time they lived in Idaho, while studying the history of their little town, Lynnette was inspired to begin the Shepherd's Heart Series with Rocky Mountain Oasis. Marty and Lynnette have four children, and currently live in Washington where Marty pastors a church. Writers, Would you like to have your story featured here on ~Writer's Journey~? If so, please email me. I'll look forward to hearing from you! Announcement! Drawing winner for Linda Yezak's celebration of her newest release, Ride to the Altar. FAQ: Will there be another Bhinian Empire book? Book Readers Central Has Moved to Novel Books!